Richard was born and brought up in Scotland and has lived in London for most of his life. 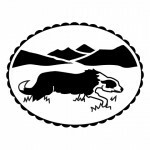 He has two passions – Scotland and conservation. He has a passion for tigers and that is why he wrote the Tigeropolis series. He wanted to create a fun, humorous, series for children, but with an underlying message in support of conservation. He is a frequent speaker at schools where he talks about fun facts about tigers, the real life inspiration behind Tigeropolis and explains about his characters. He first became interested in wildlife conservation after a whale watching trip in Alaska in 1988 and, to this day, continues to discover unusual places off the beaten track and has recently come back from a trip to Svaalbard to watch polar bears – he saw 10. Richard first visited a tiger park in 2009 as part of a team investigating the relationship between conservation and wildlife tourism in Indir. He immediately felt an affinity with the country, its landscapes and its wildlife – and especially its tigers. Richard’s dedication to conservation led him to help set up Discovery Initiatives in 1997, a company specialising in conservation-related travel which, working with NGOs around the world, contributed over £1.5 million to conservation projects. He also helped set up pioneering social media platform, Tiger Nation. 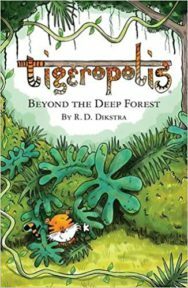 Tigeropolis: Beyond The Deep Forest was his first children’s book, the second, Tigeropolis: The Grand Opening was published in October 2016. 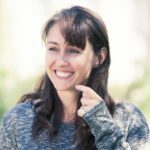 The third – Caught in the Trap is published in April 2019. In Nov 2017 he published Bananas! the first in the Adventures of Captain Bobo picture book series for ages 4-6. The second in the series – On the Rocks was published in mid 2018. The books take their inspiration from the golden era of the Clyde, but are firmly set in the modern day. For 10 years Richard had a house on the water’s edge at Skelmorlie, North Ayrshire. Fans of the Paddle Steamer Waverley might notice more than a passing resemblance to Captain Bobo’s ship! Richard wrote Hurricane Hutch’s Top 10 Ships of the Clyde – first published in 2013 (reprinted 2016). The book is a social history of the Clyde from the Second World War, through to the present day, told through the experiences of one of Scotland’s foremost Master Mariners – Captain Robin Hutchison. It’s full of personal anecdotes and observations of a bygone era. 80 pages, full colour with over 90 photographs – many never before published.